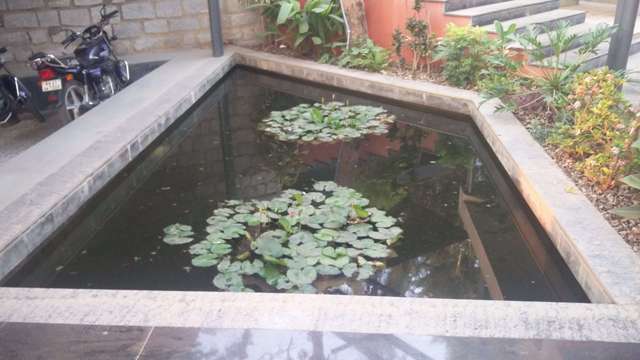 This beautiful Koi fish pond is designed by Ar. 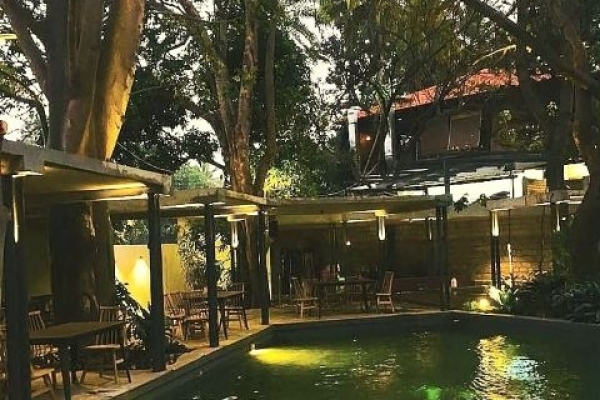 Ashok Dutta, principal architect / Studio Decode Bangalore. 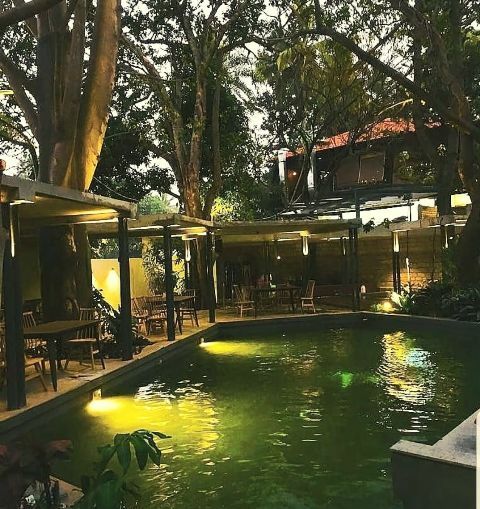 This Koi Fish pond is the prime centre of attraction at the Whattay kitchen and Brew, situated at Paramount Gardens, Jyotipuram, Bengaluru. 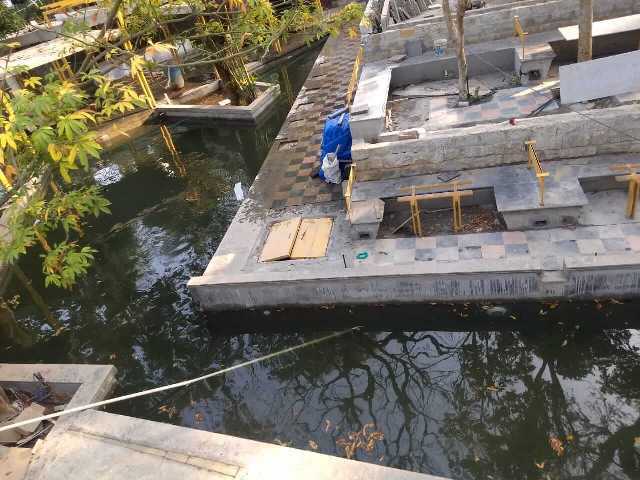 The construction of the koi fish pond completed by October 2018. 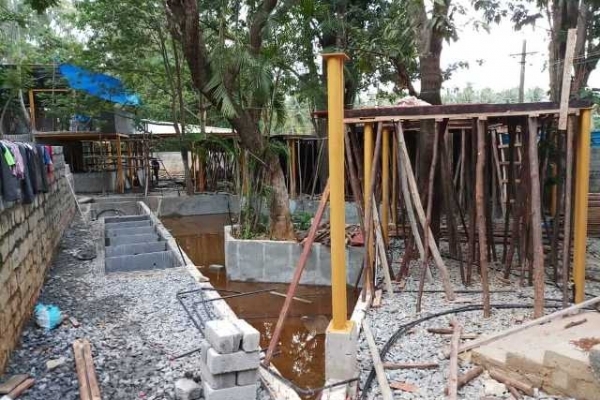 The Biofilter and pump room were commissioned by November 2018. 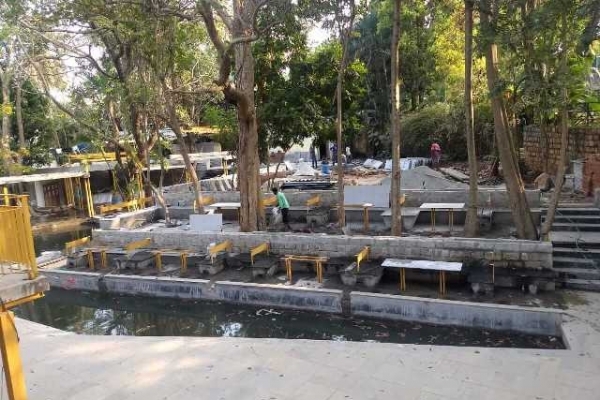 On April 30th 2019, once the pH value and other water parameters were found in range, 120 nos of good quality koi fishes were introduced to the pond. 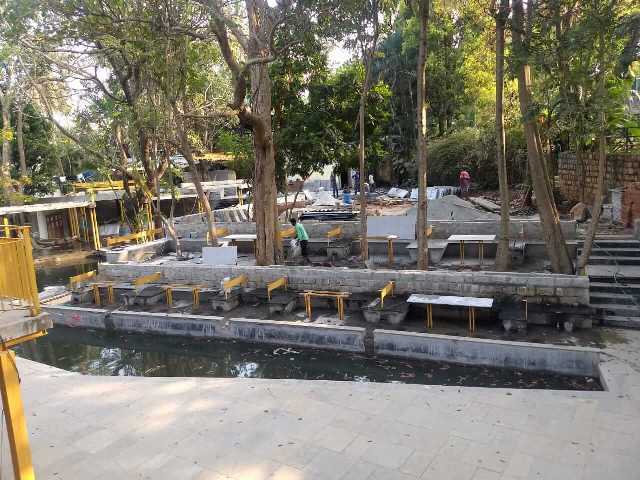 This pond is designed and constructed to facilitate the safe growth of 160 - 200 nos of Japanese Koi fish of size 24 " or more. The pond construction took about 7 weeks to complete. 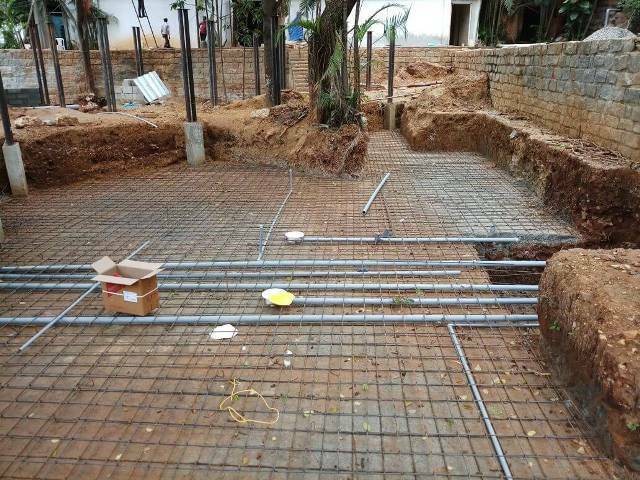 The pond is constructed using RCC with 8 mm re-enforcements, inside surface of the pond is finished with fine cement plaster. The internal wall of the pond is coated with appropriate epoxy with a light green tint. The pond is equipped with underwater lights for night time illumination. 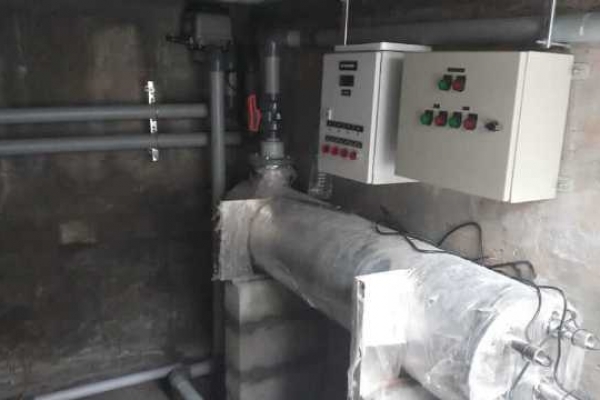 With our filtration system running all the water parameters are normal range and pH is maintained between 7.5 - 8.5. The Biofiltration setup along with the UV runs 24 hours daily. 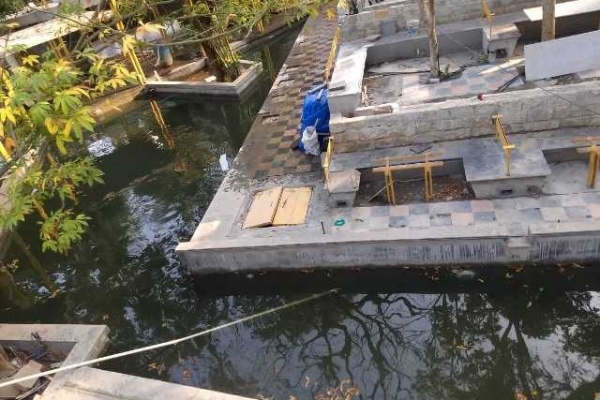 Whereas the mechanical systems need to run only 12 hours a day in order to remove all the deposited dirt and Fish debris. The current consumption is reduced to minimal. The cleaning of the pond will take not more than 15 - 20 minutes. The pond mechanical filtration system features a high capacity multi-cyclone system with aquabiome filter media. 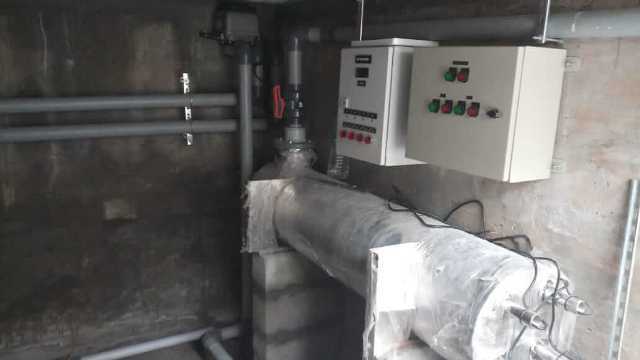 The backwash frequency is considerably reduced with the use of a multi-cyclone filter. Multi-cyclone filter has a quick drain valve by which Only 2 to 5-litre water is required to backwash and clean the same. Koi fish ponds are about enjoying your most loved pet Koi fishes. 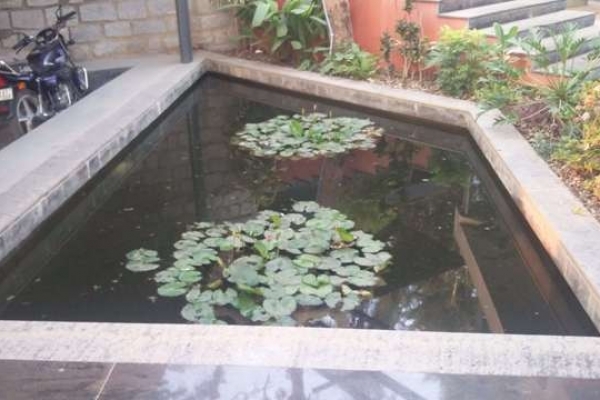 This Koi fish ponds not only provides a neat and clean environment for the fish but it also provides a pretty and relaxing spot for our clients. 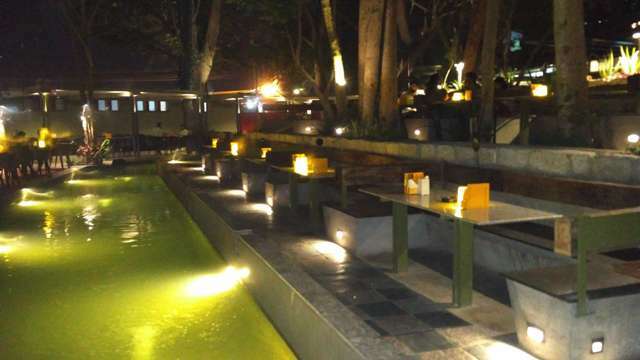 Seating arrangements are provided for the customers to enjoy their evenings along with relaxing sight of Koi fishes moving through the water. 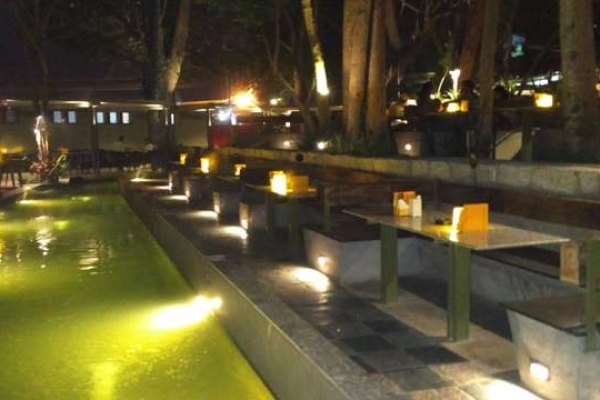 The outdoor seating with trees around and stars above is an experience, don't miss this winter without visiting us, A fully loaded bar with Handcrafted Brews, Whattay Kitchen & Brew is a mesmerizing experience. Koi fish Ponds Are very different from water gardens since they require regular care and maintenance. 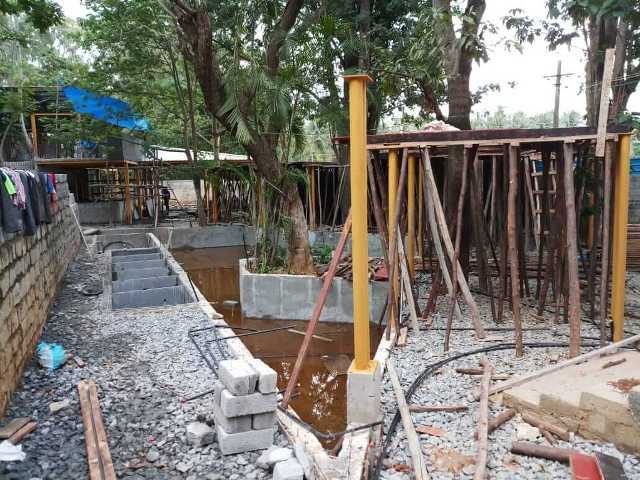 Other than regular feeding of fishes timely testing of water and backwashing of filters and function checking of emergency pumps are mandatory. Once the pond was ready 120 Indian breed of Koi fishes where introduced. We strictly recommend quarantining all new fish in a spare or temporary tank for a period of 2 to 3 weeks before introducing the same to the main Koi fish pond. Unless proper quarantining is done the chances of infections are very high. This may sometimes lead to mortal fatalities also. And always remember to add only A few fish at a time. 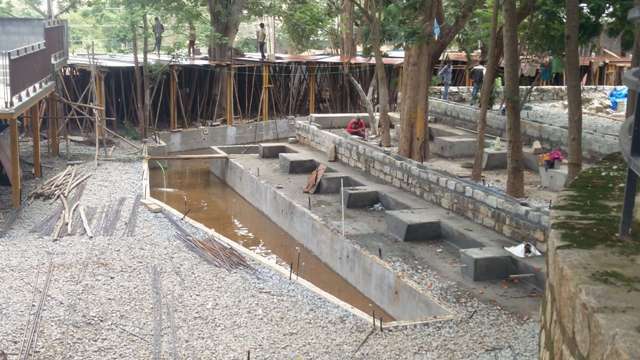 The biological filtration was started using pond starter kit of API and test fishes were added. The water quality was checked regularly and was found satisfactory, all the water parameters of the water are in normal range. the temperature readings are in between 20.5 to 23 deg C during night and day. 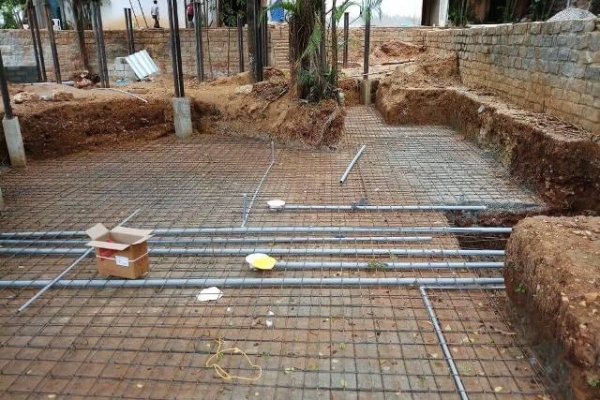 Adequate aeration is supplied to the pond using a high-pressure air compressor with an output of 120 LPH to ensure the oxygen content is always maintained at prime levels. Water quality is checked regularly to enable early detection of problems. 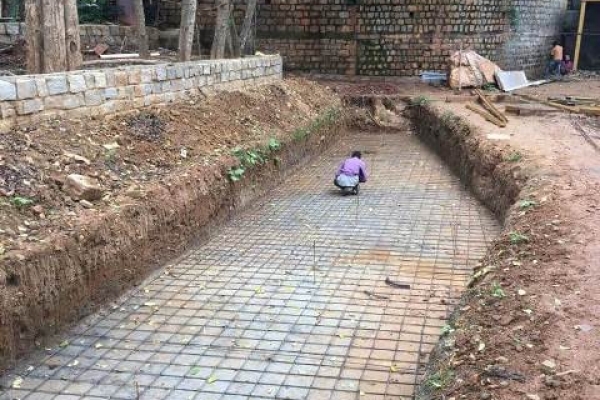 We specializing in civil & commercial building constructions, Swimming Pools & Koi Fish Pond, #Landscaping and #Paving-stone work. 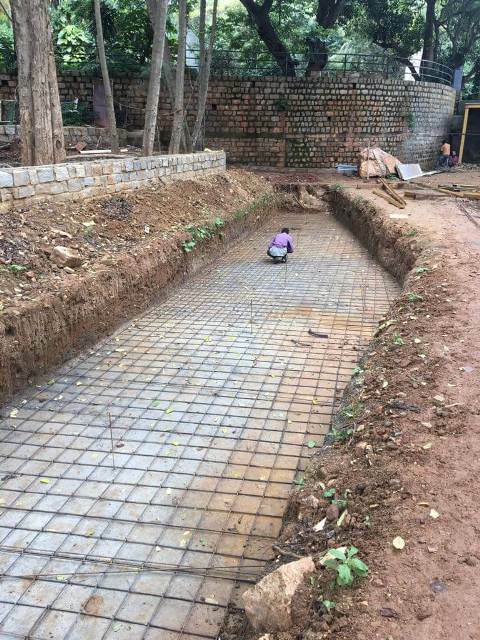 We can make and supply many kinds of Thulsi Thara, Sculptures, Water features, water bodies and Koi Fish ponds. 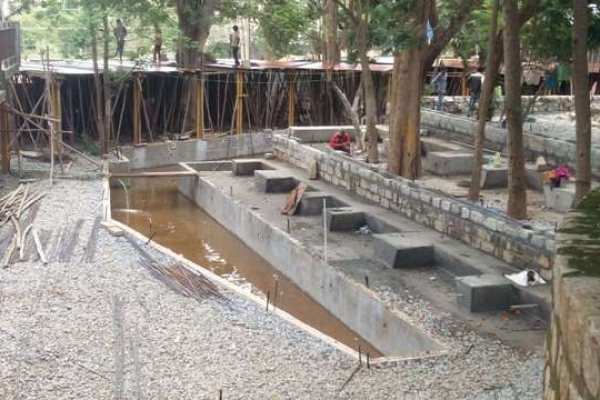 For building your own KOi fish pond and to Buy Koi Fishes kindly get in touch with us.